IS THE BROKER YOU ARE CONSIDERING A TRUE EXPERT IN CATAMARANS OR TRIMARANS? Many brokerage companies claim to offer “buyer brokerage” services, but their brokers are not Multihull experts. Any yacht broker who sells a powerboat one day and a single hulled sailboat the next cannot be a true “buyer broker.” At The Multihull Company every broker is a true expert – all we do, year-in and year-out, is sell catamarans and trimarans. We know the pros and cons of all the new and used cats on the market and have attended multihull surveys for years. We know the current market conditions for various catamarans and trimarans, as well as the most expert surveyors, lenders, insurers, and shipyards that specialize in multihulls. IS THE BROKER YOU ARE CONSIDERING A WELL TRAINED, ETHICAL PROFESSIONAL? At The Multihull Company our brokers are members of the Yacht Brokers Association of America and follow the strict code of ethical and professional conduct of YABA. In addition, several of our brokers have been certified with the CPYB (Certified Professional Yacht Broker), a credential which is awarded only to yacht brokers who have years of experience and have passed a rigorous three hour examination that covers every aspect of professional yacht brokering. To learn more about our expert staff of catamaran and trimaran experts, click here. WILL MY ESCROW DEPOSIT REMAIN SECURE? The Multihull Company holds dedicated escrow accounts in Florida and Pennsylvania. 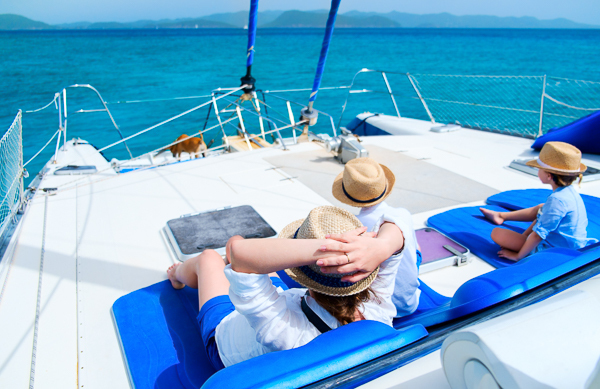 When you make a deposit on a yacht with The Multihull Company you do so with the security of knowing that, should you reject a yacht, your deposit will be returned instantly. Do not become one of the many buyer horror stories found on the internet – do not send a deposit to a broker overseas as you may never see those funds again. We work only with American contracts which can be enforced in American courts and with your deposit sitting safely in a dedicated American escrow account. WILL THE BROKER I AM WORKING WITH ACTIVELY CO-BROKER ON MY BEHALF? Many brokers and brokerage companies push clients into purchasing in-house listings. In our view, no broker or company can honorably serve a buyer if he is not actively exploring the wide range of Multihull listings that best suit his clients’ needs. Any broker that simply pushes buyers toward “in-house listings” is a salesman, not a yacht broker. Here at The Multihull Company we take pride in the fact that we are “old school” yacht brokers. We know that the strength and growth of our company rests with happy clients, which explains why 80% of our business over the past three years was generated through referrals. WHO WILL ADVISE ME ON TAX, DOCUMENTATION, TITLING, AND IMPORTATION ISSUES? 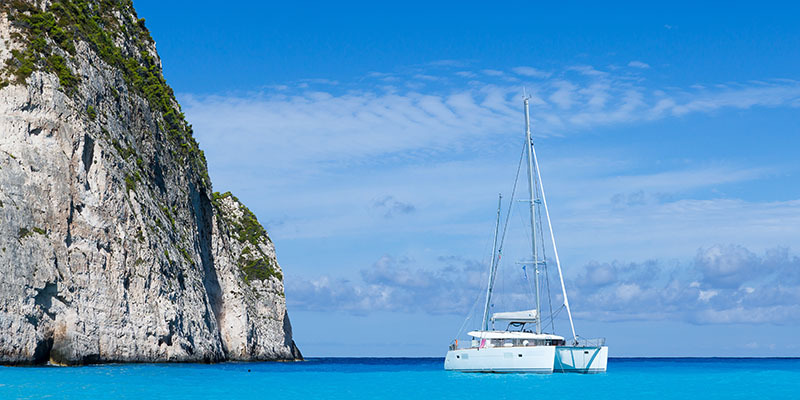 In the Multihull business, a great many catamarans and trimarans are built abroad and sold abroad. 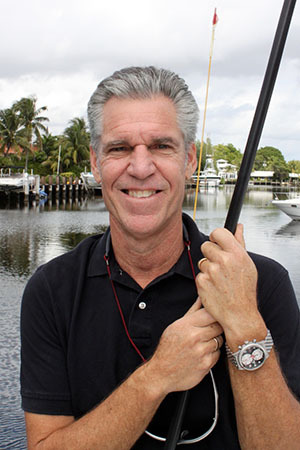 While a yacht broker cannot offer you the final word on taxation or serve as your accountant, an experienced broker who conducts multiple offshore transactions each year has a wealth of information on how to properly flag and title yachts to avoid unnecessary taxes or duties and how to properly and safely handle the transfer of title. IS THE BROKER A SKILLED NEGOTIATOR WHO HAS ATTENDED HUNDREDS OF SURVEYS? One of the most difficult dimensions of yacht sales is frequently “after survey” negotiations. It takes enormous knowledge and skillful negotiating skills to bring buyers and sellers together. A good broker will smooth out the rough spots and find equitable solutions. A good broker will also tell a buyer when it is time to “walk away” from a boat or a seller and look for something else. Are you a Spreadsheet Guy? Can a catamaran really sail upwind? Saildrives or Straight Shafts? Which is Best For Me?